Less than five years ago, South Jersey warehouse and distribution buildings began to experience a surge in leasing driven largely by e-commerce retailers and third-party logistics firms. Distributors sought locations along Route 130 and Interstate 295 stretching all the way from Pedricktown (just east of Wilmington, Delaware) to Bordentown (just south of Trenton, New Jersey) in order to serve customers in South Jersey, New York, and the Washington, D.C. corridor. Developers responded to the increased demand by adding more than 15 million square feet of new industrial space along that corridor during this property cycle, and more than 95 percent of that new space is now fully leased. 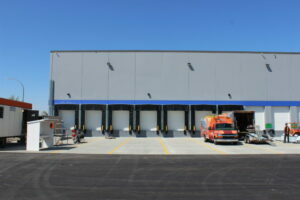 Morristown, New Jersey-based Dermody Properties is an example of one developer that has capitalized on this trend by building large-scale distribution facilities for firms such as Amazon and others. Once the buildings are leased, many are sold to institutional investors such as REEF Management and American Realty Advisors at capitalization rates between 4.5 to 5 percent. However, even as South Jersey’s industrial vacancy rates remain near all-time lows and rents are growing at more than 5 percent annually, some signs of a softening leasing market are emerging. One sign is an increase in vacancy among older distribution buildings. During 2018, the volume of space listed as available for lease in older industrial properties rose at the fastest rate since 2008. This report from CoStar Research involving South Jersey commercial real estate listings is being made through South Jersey commercial real estate broker Wolf Commercial Real Estate, a South Jersey commercial real estate brokerage firm. Two key trends are driving the recent jump in space availability. First, not all tenants filling the newly built logistics space are new retailers or distributors coming into the region. Some are simply taking the opportunity to upgrade from older South Jersey industrial properties. That was the case with industrial supply company Grainger, which vacated more than 400,000 square feet in Robbinsville in moving to a much larger, newly-built facility at Central Crossings Business Park in Bordentown in 2017. In addition, some businesses that have operations in older industrial properties are struggling to keep pace in an increasingly competitive online retail marketplace and are deciding to shut down their distribution operations. The West Deptford facility that houses the distribution operations for Nine West – the footwear chain currently working its way through Chapter 11 bankruptcy – has gradually put more than 800,000 square feet of space back on the market since early 2018. Sears also leases at least 85,000 square feet of distribution space in Logan Township. Given the current strength of the U.S. economy, many of these newly available spaces could easily be filled in the months ahead. But the recent rise in space being marketed for lease could be a warning sign that South Jersey’s industrial market is not totally impervious to record levels of new construction, especially if the U.S. economic expansion slows and trade tensions increase. For more information about South Jersey industrial space or other South Jersey commercial properties, please call 856-857-6301 to speak with Jason Wolf (jason.wolf@wolfcre.com) at Wolf Commercial Real Estate, a leading South Jersey commercial real estate brokerage firm that specializes in South Jersey industrial space. Wolf Commercial Real Estate, a South Jersey commercial real estate broker with expertise in South Jersey commercial real estate listings, provides unparalleled expertise in matching companies and individuals seeking new South Jersey industrial space with the South Jersey commercial properties that best meet their needs. As experts in South Jersey commercial real estate listings and services, the team at our South Jersey commercial real estate brokerage firm provides ongoing detailed information about South Jersey commercial properties to our clients and prospects to help them achieve their real estate goals. If you are looking for South Jersey industrial space for sale or lease, Wolf Commercial Real Estate is the South Jersey commercial real estate broker you need — a strategic partner who is fully invested in your long-term growth and success.